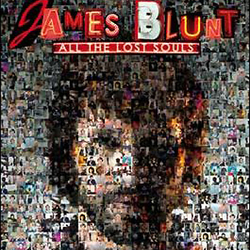 Rolling Stone: 1000 pics of James Blunt on his new album cover. If I knew photoshop, there would also be one picture of Waldo. WTF: This is not music related, but did you know there’s a Pirate Reality show called Pirate Master that follows 6 modern day pirates on their quest for gold? I accidentally watched part of this last night. The Rock Radio: Bob Dylan has approved song remixes by DJ Mark Ronson and Chumbawamba. OK, not really Chumbawamba.